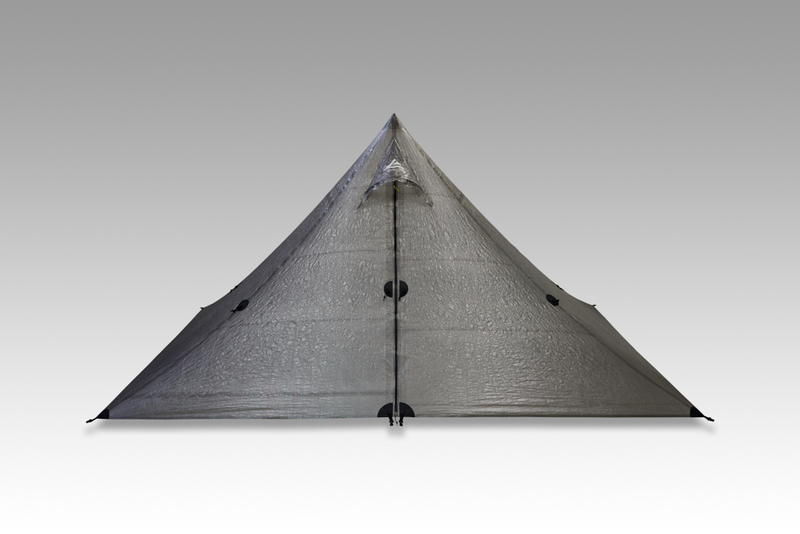 The Khufu DCF-B is made by high performance bonding technique (of which knowledge had been gathered in the process of making yacht sails) after having the instruction by the material maker and trained then considered every detail of making. 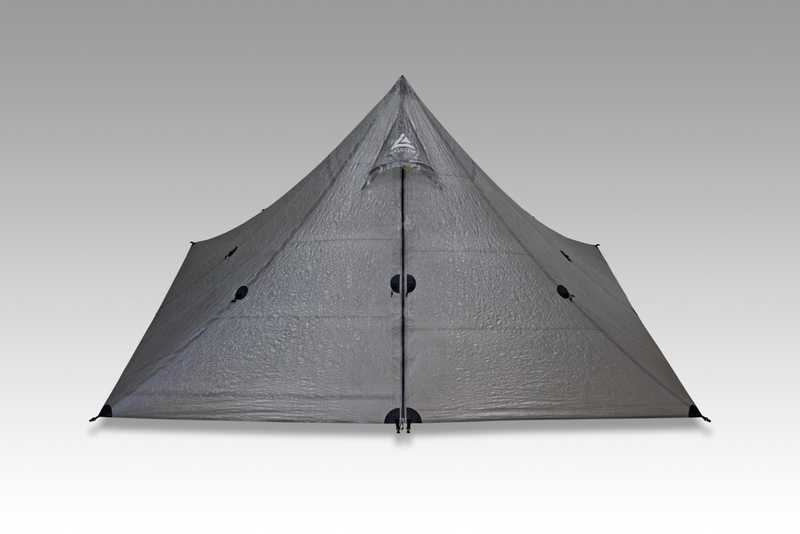 In addition the bond being used for the shelter is carefully selected by us after making several prototype samples and being tested under harsh conditions, which we took several months, then finally leased this very special version of the Khufu. 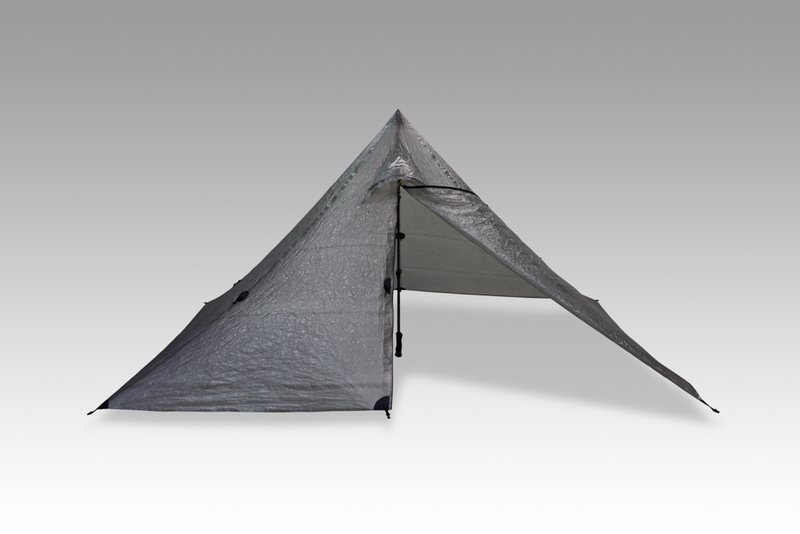 By this new method we created the non-seam shelter (except along the zipper ,of which seam lines are also covered with the cuben bonding patch tapes. ), so no seam sealing needed. 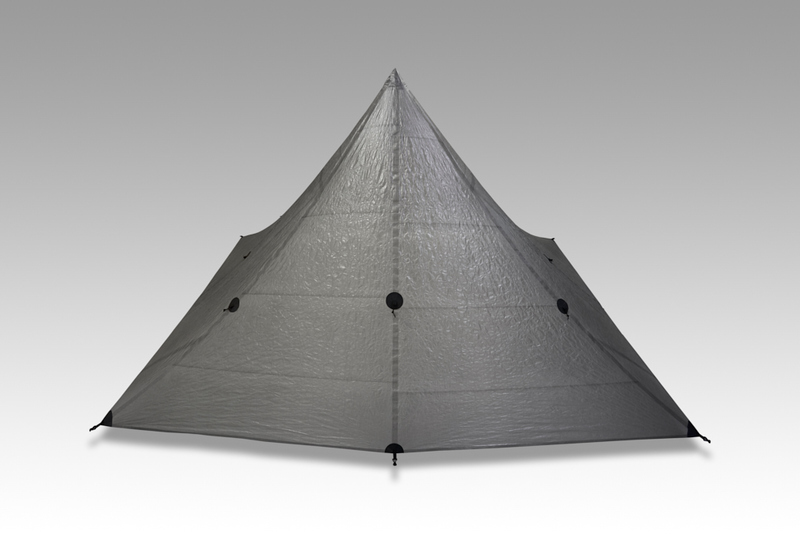 Khufu DCF-B – a Pyramid shaped monopole shelter – is designed to pitch with one pole (adjustable to 130cm length) and 8-16 tieouts. 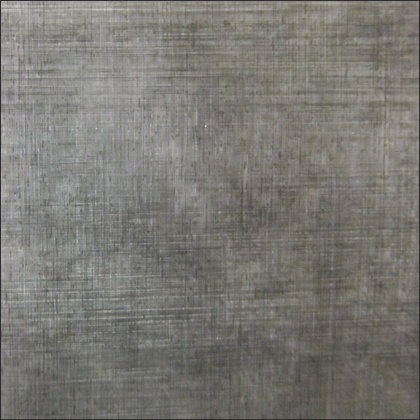 DCF(Dyneema® Composite Fabric), the fabric known as Cuben Fiber, is extremely light weight ,strong, waterproof and durable against UV light, which is flexible non-woven laminates that utilize DSM Dyneema®. *Please see for further information in Material. 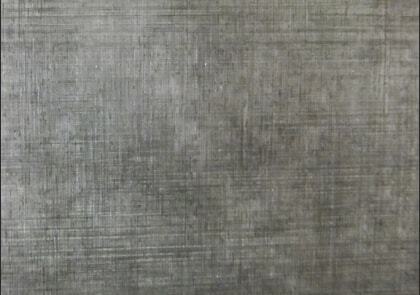 Using Woven Hybrid Cuben Fiber as reinforcement in the points which are put strain. 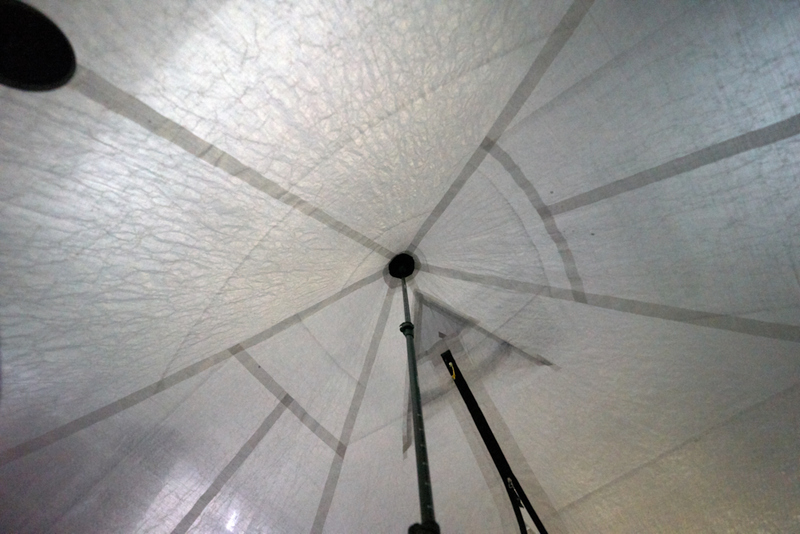 One upper vent with bug-net and open style cover. 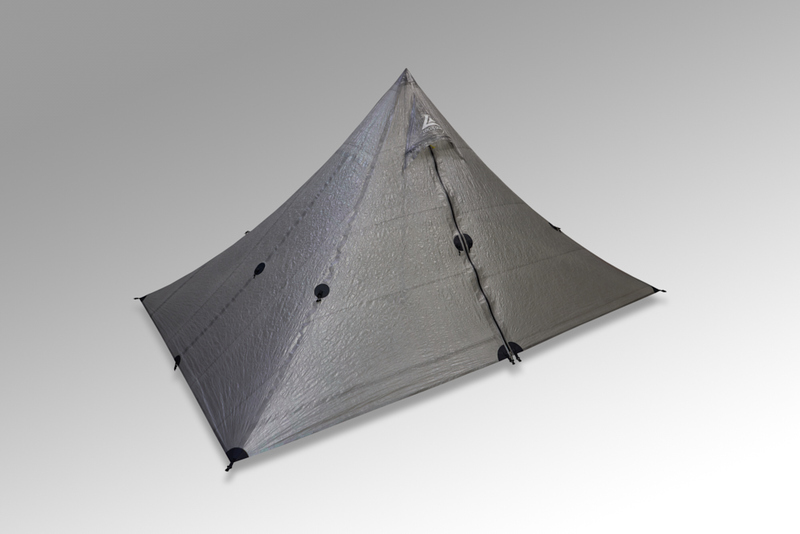 4 tieouts on the surface of the panels and 4 tie outs on the each ridge line with Hybrid Cuben FIber and shock cords. *1.6m x 4 and 2m x 4 of Dyneema reflective guyline attached. 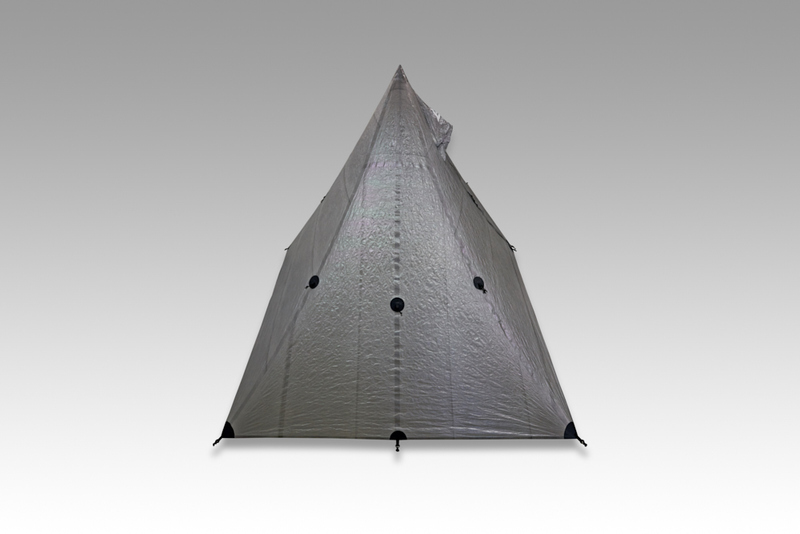 Khufu mesh is matched with any Khufu shelters including Khufu DCF-B. In addition, the optional parts DPTE makes inner space more comfortable and allow 2 persons to use. *Regarding the weight of DCF material and products made of DCF material. The weight of DCF material is not always the same, but changing depending on each production. Therefore, the weight of the shelters made of DFC material changes accordingly. Each weight of DCF products (mainly shelters) is averaging one.